Tax breaks for developers – economic development or corporate welfare? You may not understand PILOTs, but your tax dollars support them. Above: Legg Mason switched its headquarters from downtown to this 24-story building at the Harbor East development. Twelve downtown and Harbor East buildings received $14.5 million in property tax breaks last year, a report by a city agency shows, with a single developer, John Paterakis Sr., securing $9.4 million, or 65%, of the total. Earmarked to some of the ritziest addresses in the city, such as the Legg Mason Tower and the Baltimore Marriott Waterfront, where a hotel room begins at $319 a night, the rebates are likely to fuel further criticism of Baltimore’s property tax system. Taxes have emerged as a political hot potato, with three mayoral candidates challenging Mayor Stephanie Rawlings-Blake to reduce the city’s real estate tax rate, which, at 2.268 cents per $100 of assessed value, is twice that of surrounding counties. Yesterday’s report by the Baltimore Development Corp. to the city Board of Estimates highlights another aspect of the controversy – that the city has awarded huge tax breaks to projects it deems essential to retain jobs or boost tourism. The tax breaks come through an obscure tax mechanism known as PILOTs (Payment in Lieu of Taxes) administered by the BDC, the city’s economic development arm, and approved by the mayor and Board of Estimates. Under a PILOT, a developer pays the original base property tax, plus 5% of the assessed value of the improved property, resulting in a 95% tax forgiveness over a negotiated period of time, usually 15 to 25 years. Take the Marriott Waterfront Hotel, a 750-room luxury hotel situated in Harbor East. The city entered into a 25-year PILOT in 1997. Last year, Harbor East Ltd. (a Paterakis company) paid $49,566 in property taxes and was excused of $3,374,525 in taxes under Marriott PILOT. This arrangement will last until 2022. 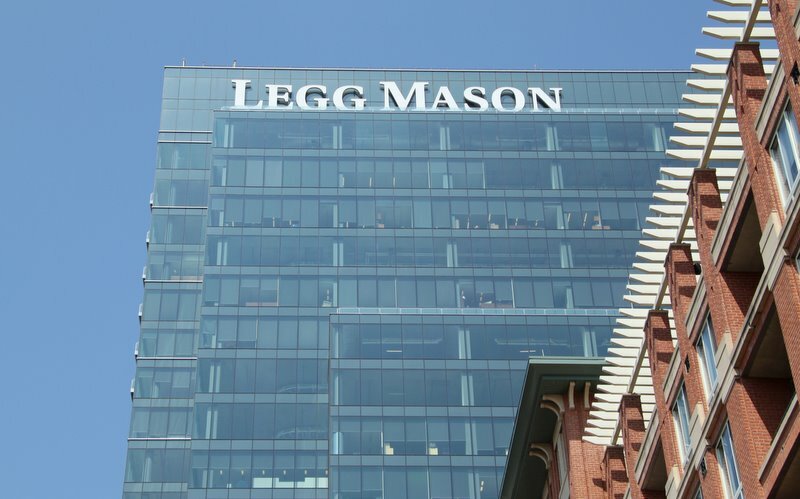 In the case of the new Legg Mason Tower, also owned by the Paterakis group, the building was given a 15-year PILOT and the parking garage a 25-year PILOT. Several parcels of the property are excluded from the PILOT rebate, most notably, a Four Seasons Hotel under construction. According to the BDC report, a Paterakis company paid $2,274,510 in real estate taxes last year. At the same time, it was forgiven $3,998,160 in taxes. The property is currently assessed at $193 million by the state. In September 2009, Paterakis, the owner of H&S Bakery, pleaded guilty to two misdemeanor campaign finance violations filed by state prosecutors as part of the corruption probe that ensnarled Mayor Sheila Dixon, who resigned from office in early 2010. Paterakis agreed to pay $26,000 in fines and was barred from donating to Baltimore politicians until his probation ended in January 2012. M.J. “Jay” Brodie, president of the BDC since 1996, said that without PILOT tax breaks, private developers would walk away from projects that are key to the city’s future. “The city has certain tools, and this [tax rebating] is the main tool in our tool kit,” he said, in an interview yesterday after turning in the report to the Board of Estimates. In its report to the Board of Estimates, the BDC cited increased hotel and parking taxes, as well as the personal income taxes generated by people living or working in the new buildings, as proof that the tax breaks benefit the city. For example, Centerpoint Apartments, a recipient of $970,870 in tax rebates last year, generated an estimated $638,009 in parking, real estate and personal income taxes, the BDC said. Spinnaker Bay Apartments generated $1.2 million in tax revenues, chiefly from the estimated income taxes of its 300 residents, and the Marriott Waterfront generated $3.6 million in parking taxes, personal income taxes, business personal taxes, energy taxes and hotel taxes. Three candidates for mayor – Joseph T. “Jody” Landers, Catherine E. Pugh and Otis Rolley – have pledged to drastically reduce the city’s property tax rate. As part of their promise, the candidates have touched upon ending tax benefits to big developers with varying degrees of vehemence. The most detailed platform comes from Landers, former executive vice president of the Greater Baltimore Board of Realtors. “I will stop the practice of doling out special tax breaks to a select group of developers and property owners and instead concentrate on reducing the property tax rate on all property,” he vows in campaign literature. Mayor Rawlings-Blake has termed property tax reduction “pie in the sky” and suggested that the city could not afford such tax reductions without crippling city services. As City Council President and a member of the Board of Estimates, she approved the latest PILOT rebate (in 2009) for the Legg Mason Tower, and as mayor she has defended the PILOT program. Asked yesterday if the city’s high property tax rate was a major disincentive to build in Baltimore, Brodie said this perception was an oversimplification. “Is the property tax a problem in terms of Baltimore’s competitive position,” he asked. Answering “yes,” he added that there were other factors. He cited the borrowing climate, whether the project “was a union or nonunion build” and the physical condition of the site as very influential to a developer deciding on the location of a project. “If the city could write more checks for more infrastructure, that would be a good thing,” he said, but added that the city has a limited budget and cannot enter into a joint venture with a private developer or become an equity member of a project. Ryan O’Doherty, a spokesman for Rawlings-Blake who sat in on the interview, interjected to say that wealthy developers weren’t the only people who got tax breaks. O’Doherty said the city also offers generous tax incentives to regular citizens who buy and rehabilitate vacant houses. The news media do not adequately publicize this fact, he said. Brodie said his office has spurned developers asking for handouts. He cited the BDC’s decision not to grant the Rouse Co. a $14 million tax break to renovate Harborplace as one example. The BDC also turned down tax subsidies sought by developers of The Eden, a residential building, near Harbor East. In both cases, the developer went ahead and completed the project without public subsidies. Yesterday’s report also disclosed information on another tax finance program known as TIF (Tax Increment Financing). TIF uses the increased property taxes that a large project generates to finance the cost of bonds issued by the city on behalf of the project. Instead of being allocated to the city, the developer’s property taxes are used to pay off the bonds, thus decreasing the flow of property taxes to the city until the bonds are paid off. In essence, a TIF is a tax-free loan to the developer. TIF financing was used for the Hilton Baltimore Convention Center Hotel, Mondawmin Mall, Clipper Mill and HarborView, among other projects. It has been approved by the Board of Estimates to aid the 4.8-million-square-foot mixed-used Westport development envisioned by developer Patrick Turner on the shores of the Patapsco River. TIF district financing has been proposed recently by Downtown Partnership, a business group, to convert largely vacant office buildings into apartments along Lombard Street, Redwood Street and other parts of downtown. NOTE: The four properties listed below are owned by the Paterakis group. *PILOT does not apply to residential or retail space.